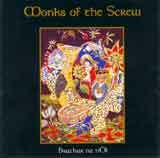 other information Monks of the Screw MKS 002, n.d. Estimated date of publication 1995. Notes by Paudy Scully. Track 6 not indexed here (Breton music).